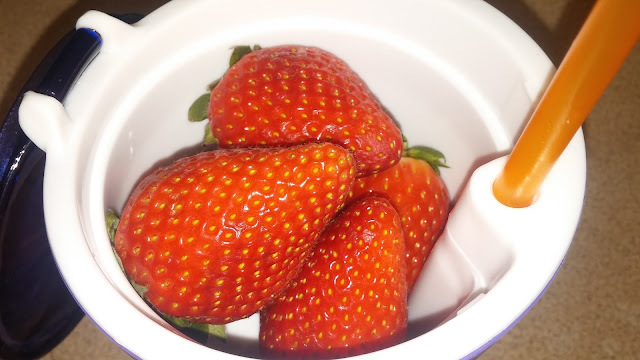 Where Roots And Wings Entwine: Snackeez Snack and Drink Cup review. Snackeez Snack and Drink Cup review. Aimed at busy kids and adults who like to enjoy a small snack with a refreshing drink, Snackeez is an 2-in-1 snack and drink cup. Thanks to an innovative design Snackeez is a drink cup with a container inside ideal for storing small snacks. The brightly coloured snack and drink cup by Character Options features a non-slip grip to make holding it easy and perfect for helping little hands hold the cup which is rather large for little ones. The cup and snack container are both top rack dishwasher safe, and it is easy to wash and reassemble. However none of the Snackeez parts are suitable for use in the microwave. The Snackeez is also not designed or suitable for hot drinks or snacks. The cup holds up to 450ml of liquid and includes a drinks straw. Whilst I find the drinks cup a great size for me I do think it may be a little bit too big for little ones as Bug has found it a little bulky to hold especially when full when it is quite heavy for him to hold. At home the size is not too big of an issue but if he was to take it out and about and use it on the go then the size may be too much for him to handle. The snack container which fits perfectly within the cup holds up to 115ml of food and is great for snacks such as fresh fruit, crackers, nuts or little sweet treats. We have found the snack containers size to be ideal for storing the right amount of food for Bug to enjoy as a snack. I think it is a great size for most people, being suitable for both kids and adults. The clever snack/drink cup features a tight seal which keeps snacks fresh and prevents spills. After filling the cup with a drink up to the top of the rubber non-slip hand grip as advised and fitting the snack container inside the cup so that it is sealed tight I have found the cup to be no-spill which is always a bonus when being used with kids. The only thing I would love to see to make the Snackeez even better would be that it featured a flip down straw for making it better for using on the go or keeping it compact for storing when not in use. Bug loves using the Snackeez and thinks it is super cool. I love the idea of a snack and drink cup combined. Snackeez is available from Character Online, it comes in 3 different colour designs and has an RRP of £9.99. From early autumn little ones can get snack happy with Snackeez Junior. 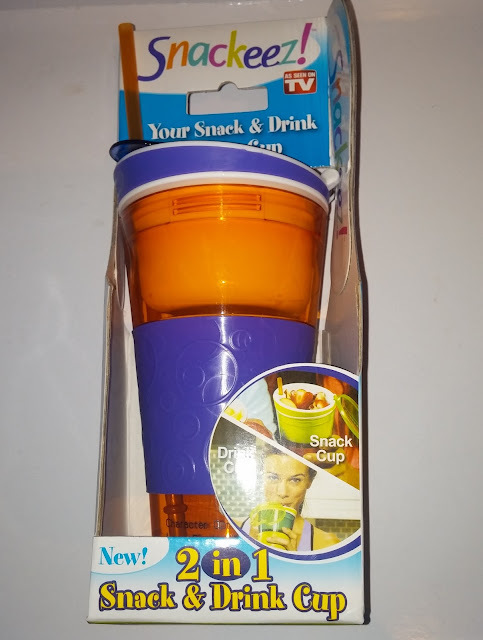 The new Snackeez Junior 2-in-1 snack and drinks cups will feature all the amazing features of the original Snackeez but with slightly smaller cups. Plus the Snackeez Junior will available in Star Wars, Shopkins and Frozen designs.